If you’re the kind of person that thrives on Apple product rumors then over the coming weeks you’re going to be in for one hell of a treat. If you’re the kind of person who’s blood begins to boil at the very mention of parts suppliers and Japanese blogs, then you should probably look away right about, now. The latest rumor to crop up in the long running saga that is; the next generation iPad, suggest that Sharp is indeed the company behind the new Retina Display-equipped screens, and furthermore, we have a photo of what it is claimed is one such screen. Rumors of a super high resolution Retina Display making its way to Apple’s tablet have been around since before the iPad 2 was announced, after the addition of such technology to the iPhone 4 and iPhone 4S led to widespread acclaim for its clarity and viewing angles. Throw in the huge number of pixels used – 2,048-by-1,536 if the rumors are to be believed – and the iPad 3 promises to be one gorgeous-looking piece of kit. Sharp has been rumored to be providing the Retina Displays for iPad 3 for a while now, making this photo all the more likely to be legitimate. That said, we are currently firmly in the middle of iPad silly-season, meaning all rumors should be taken with a large pinch of salt, no matter the probability of accuracy. The screen shown in the photo was apparently discovered by Japanese blog Macotakara, and with parts cropping up from various resellers across China; it is not entirely beyond the realms of possibility that the screen is indeed from an iPad 3. 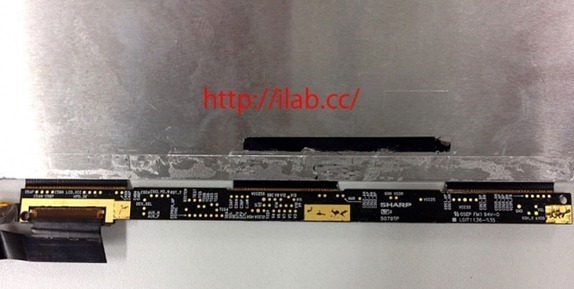 The flex cable especially, we are told, matches the system used on the iPad 2. Both Foxconn and Pegatron Technologies are believed to be cranking out iPad 3s with an aim of getting them into people’s hands at some point in March. 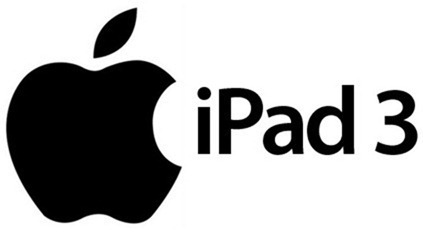 If Apple is to follow the expected release pattern then we believe the company will hold an iPad announcement during the first weeks of March, with a release coming shortly after, that’s what today’s report suggests. If things go according to previous history we might not have long to consider these rumors. If Apple does indeed show off the iPad 3 in the coming weeks then we will know for once and for all whether the tablet’s screen is indeed made by Sharp. Until then, we’re all really just guessing.